PBS: We get a glimpse into LaBrelah’s competitions with some home footage of past barrel races. Were you able to witness her during an event? What was that experience like? Sherry Anderson: We did not witness the event since our film originated as part of a five-day documentary competition. Unfortunately, the event was Saturday night and our film’s deadline was Saturday morning. But we are considering expanding the short into a feature and hope to be able to follow LaBrelah at rodeo events this year. PBS: Her father Larry mentions that while her family supports her whether she has a good run or not, LaBrelah can be hard on herself. Were you able to get a glimpse of this drive and work ethic? Sherry: Yes, during the short time we were with the family, it was evident how passionate they are about horses and rodeos. 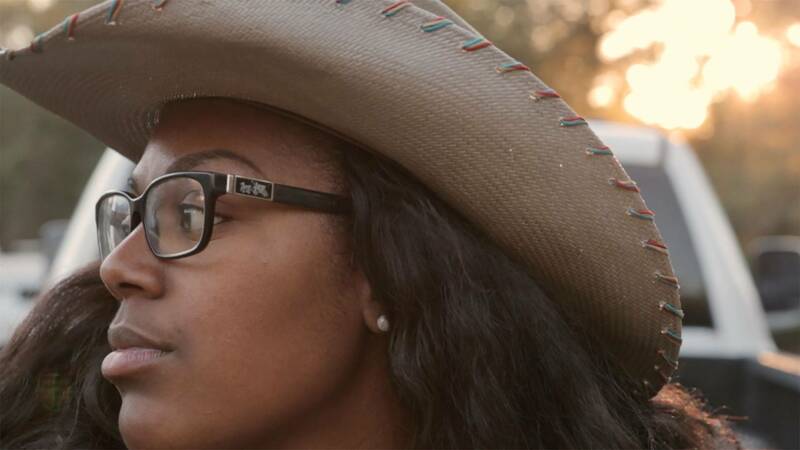 Not only does LaBrelah compete but her siblings and extended family members all participate in rodeo events. It is an inherited trait throughout the Hutchins family and beyond. We also felt a sincerity about their love for each other and their commitment to excellent horsemanship, but also a humbleness that one doesn’t usually see in competitive sports. There are no “stage mothers” (or fathers). "We also felt a sincerity about their love for each other and their commitment to excellent horsemanship, but also a humbleness that one doesn’t usually see in competitive sports." There is a quiet strength and confidence about them; the stress one would anticipate in preparing for a big competitive event just isn’t there. We hope to convey that in the film. I believe that Nathan [Willis] was the perfect person to shoot this documentary because of his own calming and curious nature. He was able to get up close and personal with the family and animals without disrupting the atmosphere; and, since we were only a two-person production team, we did not bring that particular type of chaos that comes with a larger crew. PBS: There’s an important bond between a rider and their horse. What was it like to witness the relationship between LaBrelah and her horse “Big Boy”? Sherry: There was an ease about LaBrelah and her horse that was palpable during shooting. It is like the horse absorbs the family’s traits — no anxiety, just resolve. It made me want to start riding horses again, but this time in a quiet corner in Mississippi. 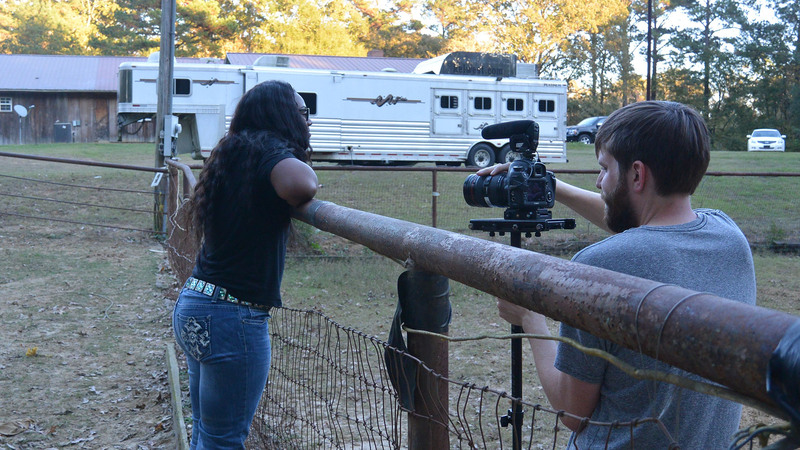 PBS: We see how supportive LaBrelah’s father Larry has been throughout this journey as a barrel racer. How was it working with them on this film and witnessing this shared passion they have for barrel riding? Sherry: It was heart-warming to witness a father-daughter relationship that is entirely based on love, trust and unconditional support. You could sense how proud this father is of his family. Except when we were interviewing him, Larry was always watching his daughter ride. No yelling, no rush to improve her skills — just watching. To be honest, I felt a pang of jealousy since my own father died when I was 12 and I didn’t experience a father-daughter relationship as an adult. The moment when Larry is watching LaBrelah practice is my favorite of the film.